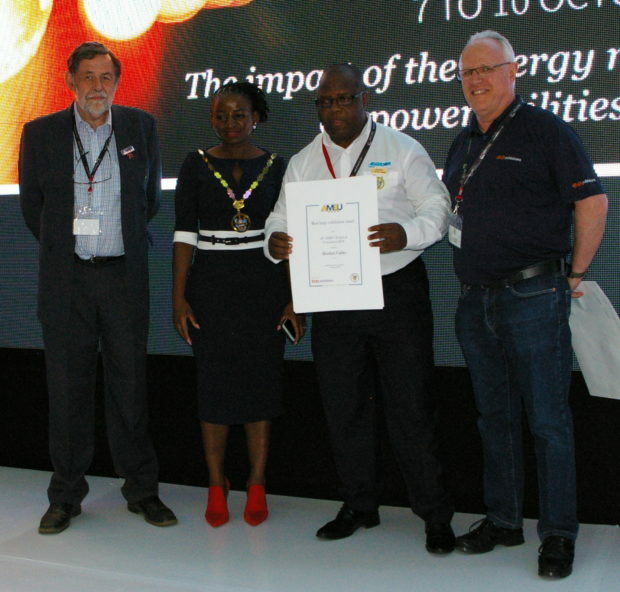 The Association of Municipal Electricity Utilities (AMEU) held its annual convention at the CSIR Convention Centre in Pretoria recently. 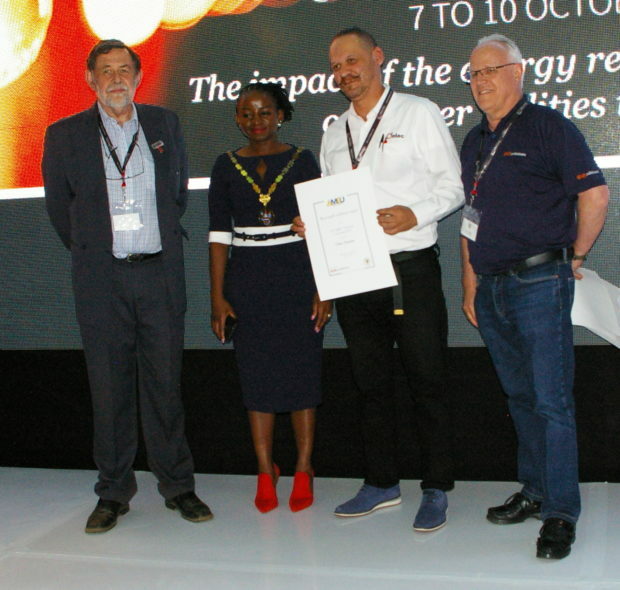 The event, which was hosted by the City of Tshwane and well attended by delegates and exhibitors, included exciting awards, excellent technical presentations, a gala dinner and sports day. The awards included honourary AMEU membership and the EE Publishers awards for the best small, medium-sized and large stands. The association presented the Best Paper award on the final day of the convention. 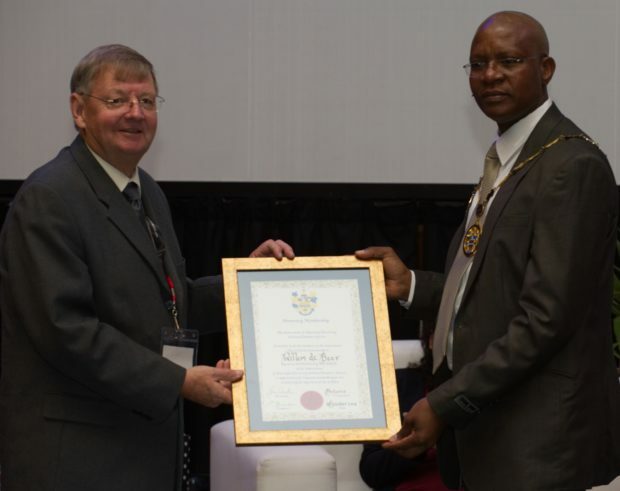 The association used the event as a platform to bestow honourary membership to three individuals in recognition of their outstanding and exemplary service to South Africa’s electricity supply and distribution industry. An attorney and conveyancer by training, she is currently the director general in the Gauteng premier’s office. 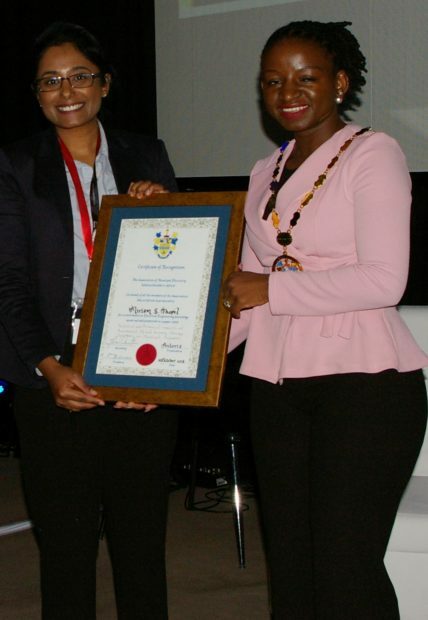 She also serves on the boards of the Manufacturing, Engineering and Related Services SETA (MERSETA), the CSIR and the Council of the University of the Witwatersrand. She was instrumental in the formation of City Power where she provided executive oversight and leadership. She was also the chief executive officer (CEO) of the Electricity Distribution Industry (EDI) Holdings company which was formed to establish six regional electricity distributors (REDS) for the distribution of electricity in South Africa. 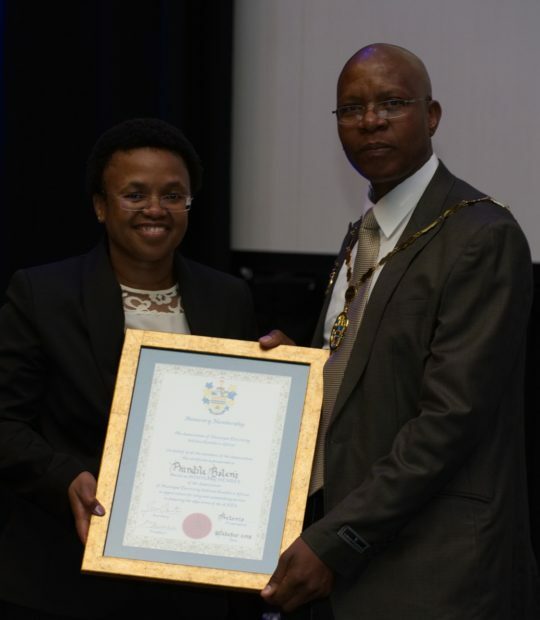 She also served as CEO of the National Energy Regulator of South Africa (Nersa); the chairperson of the Regional Electricity Regulators Association (RERA) and the African Forum for Utility Regulators (AFUR), bodies which aim to harmonise and integrate utility regulatory frameworks towards the attainment of NEPAD’s objectives of creating an environment conducive for investment in infrastructure in Southern Africa. De Beer is an independent consultant who serves on the advisory panels for the ministers of energy and COGTA (Cooperative Governance and Traditional Affairs). 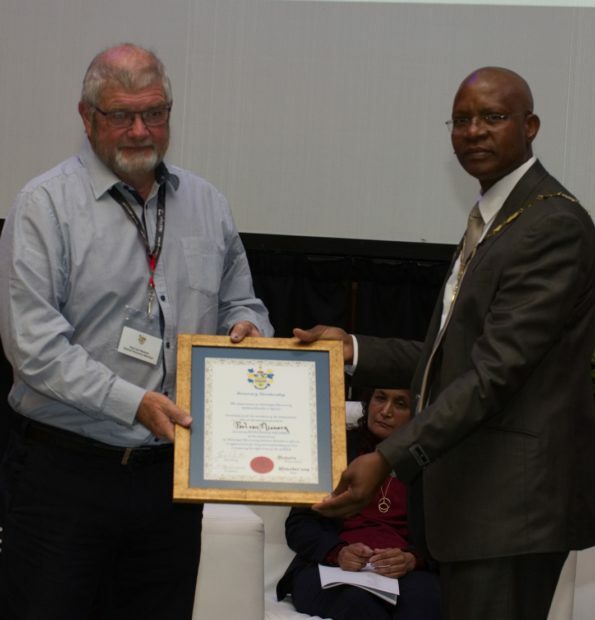 He received the South African National Energy Association’s (SANEA’s) Energy Award in 2016 for his outstanding and sustained contribution to the enhancement of the South African energy environment. 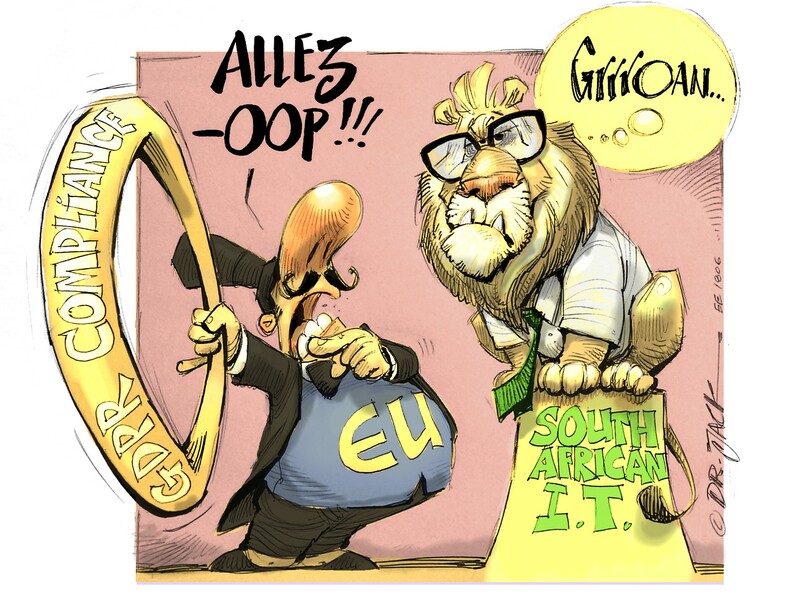 De Beer was also involved with EDI Holdings where he served as the chief operating officer (COO). 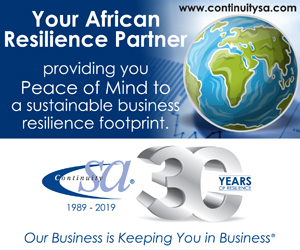 He has been active in the electricity supply industry for over 45 years and has supported the AMEU actively, offering coaching and mentoring services. 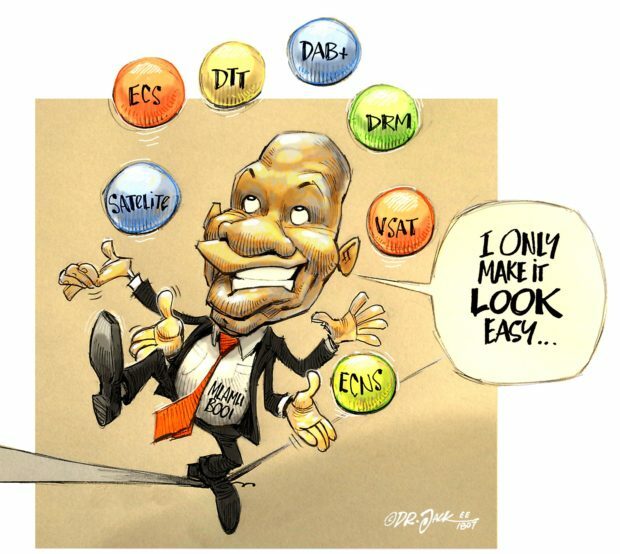 His many contributions to the electricity supply and distribution industry include highlights including the establishment of the South African Smart Grid Initiative (SASGI), the formulation, development and management of the Approach to Distribution Asset Management (ADAM), the introduction of benchmarking into Eskom’s distribution business, and a smart grid maturity assessment and technology deployment model for the South African electrical industry. Although now retired and living in Plettenberg Bay, Van Niekerk is active in the Southern Cape region of South Africa as an engineering mentor on the national treasury’s project for integrated skills development. He is a mentor for five engineering graduates at George Municipality who are working towards their registration as professional electrical engineers and technologists. He was CEO of the Mauritius Electricity Board; has over 45 years of experience in the municipal electricity industry; was a member of the AMEU for 28 years and was the chairperson of its Natal and Highveld branches. He also served on its executive council for more than twelve years. He was the president of the South African Institute of Electrical Engineers (SAIEE) in 2013, and was the programme manager at EDI Holdings, as wellas an account manager at the Power Institute for East and Southern Africa (PIESA). As one of the AMEU Convention’s sponsors and publishers of the AMEU Convention Proceedings, EE Publishers’ Chris Yelland presented award certificates to Aberdare Cables, Schneider Electric and Ontec Systems for the best large, medium-sized and small stand respectively. Aberdare Cables received the Best Large Stand award from Tshwane Councillor Darryl Moss, AMEU President Refilwe Mokgosi and Chris Yelland. Aberdare Cables is a 71-year old South African cable manufacturer with highly trained and motivated employees who make it the employer of choice. As a technology leader, it is driven by cutting-edge research and development, providing world-class innovative solutions, processes, products and customer service. The company has three manufacturing sites in South Africa, with customer service centres in each province and in Maputo, Mozambique. The company employs 1500 people and currently holds a Level 1 BBBEE status, with a make-up of 55% black ownership and 30% black women owned. 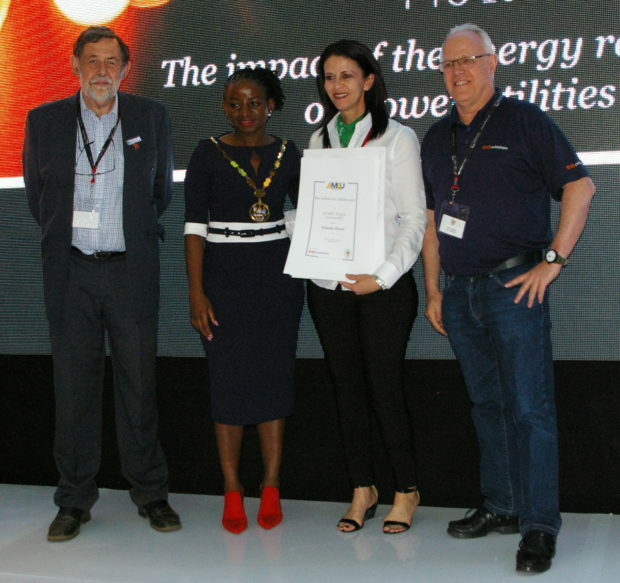 Schneider Electric received the Best Medium-sized Stand award from Tshwane Councillor Darryl Moss, AMEU President Refilwe Mokgosi and Chris Yelland. 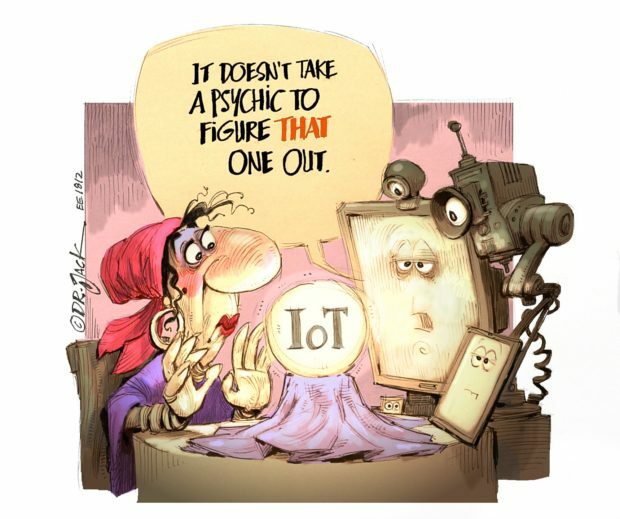 Schneider Electric works in the digital transformation of energy management and automation in homes, buildings, data centres, infrastructure and industries. With global presence in over 100 countries, the company offers products and services in power management – medium voltage, low voltage and secure power, and in automation systems. It provides integrated efficiency solutions, combining energy, automation and software. The company is committed to innovation, diversity and sustainability ensures that life is on everywhere, for everyone and at every moment. Ontec Systems received the Best Small Stand award from Tshwane Councillor Darryl Moss, AMEU President Refilwe Mokgosi and Chris Yelland. Ontec Systems grew out of Itron Metering Solutions SA through a restructured shareholding. Ontec remains the sole supplier of Itron products and solutions within South Africa. Its products include electricity, gas and water meters, prepayment metering solutions, data collection and communication systems, including automated meter reading (AMR) and smart metering/advanced metering infrastructure (AMI). The Best Paper award was presented to Miriam Thopil of Digisilent Buyisa for her paper “Technical and financial impacts of residential PV and battery storage systems on municipal networks”.